Sprinkle salmon with lemon pepper, garlic powder, & paprika. Saute salmon fillet in lime infused olive oil. Drizzle with white balsamic vinegar. Cook 1 cup rice, 2 cups water and 1 tsp lime olive oil until done. Serve with mixed vegetable drizzled with white balsamic vinegar. 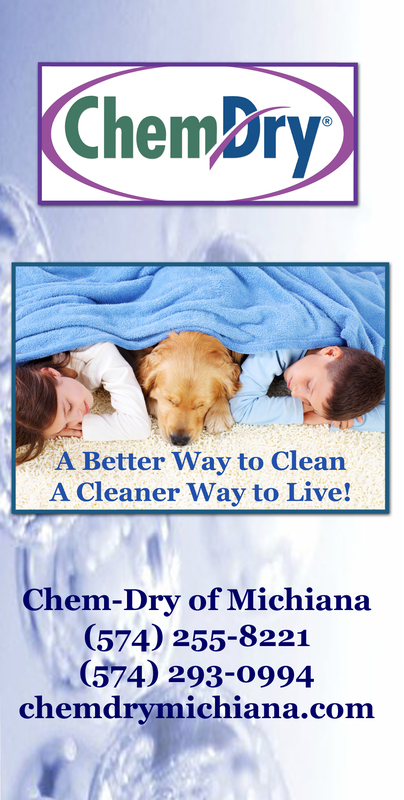 And if your family spills anything while they eat, call Chem-Dry of Michiana for a free estimate. We can clean the carpet, tile, upholstery or granite and remove98% allergens and 89% bacteria in your home. marinate chicken breast in 1-2 tbsp chili, olive oil and 2-3 tbsp raspberry infused, balsamic vinegar for 2-3 hours. Salad: lettuce, pecans, dried cranberries, feta cheese, and choice of dressing. Pictured is blue cheese and french combined.